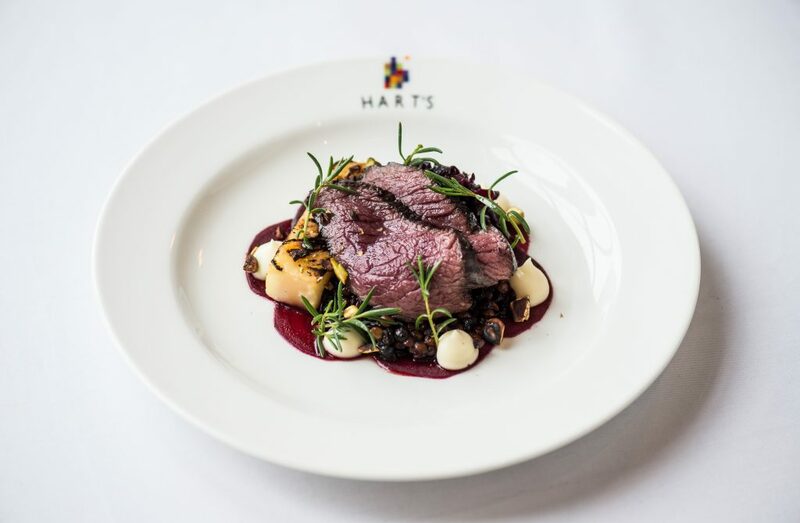 Mouths are watering across the Midlands as Hart’s, the Nottingham restaurant renowned for its fine dining experience, announces the launch of an exclusive new six-course tasting menu. Unveiled as part of the establishments 20-year anniversary celebrations, the limited-edition menu showcases some of the most popular dishes to come out of the restaurant’s kitchen over the past two decades, including a dish from Hart’s original 1997 menu, favourites from longstanding team members, and an interesting twist from Michelin-starred executive chef Aaron Patterson. Cooked up by head chef Dan Burridge, who has been at the helm for seven years, each course has a seasonal focus and uses local ingredients from trusted suppliers wherever possible. This reflects the ethos of Hart’s and the principles that the restaurant was both built on and has thrived on. 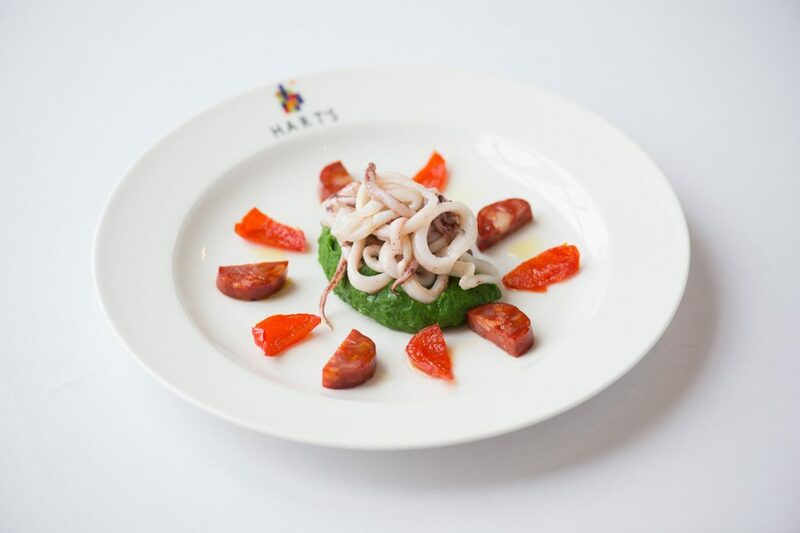 A favourite of owner Tim Hart, the Hart’s salad always uses the freshest seasonal ingredients to deliver maximum flavour, whatever the time of year. Tim is a firm believer that good food should be kept simple and the seasonal salad demonstrates this perfectly. For November, a selection of beetroot, baby carrots, celeriac, cauliflower and turnips (sourced directly from New Farm in Redhill) are combined with dried tomatoes, seasonal leaves, truffle and parmesan. The first dish on the menu in 1997 and a firm favourite ever since, it was conceived by head chef at the time, Mark Gough. Showcasing the classic flavour combinations of basil and peppers, chorizo and squid, but with the unusual addition of mashed potato, this dish is a great example of how cooking styles and thought processes have changed since the 1990s. Chosen by Head Chef Dan Burridge for a number of reasons, this dish takes him back to his childhood, evoking memories of the pine forest outside of Frankfurt. As well as nostalgic reasons, he also loves the versatility of mushrooms and the depth of flavour, packed with umami. 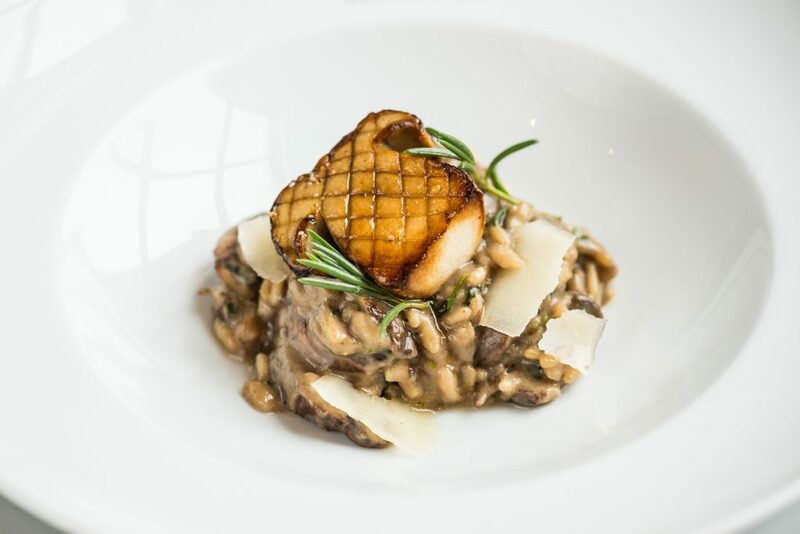 The risotto uses a mix of mushrooms including hen of the wood and ceps, sourced by a local forager. Hart’s has long been known for its game and at this time of year it really comes to the fore, with local suppliers providing the kitchen with both feathered and furred game from across the county. For this dish, venison haunch from the Belton Estate is tunnel boned before being soaked in red wine for eight hours, portioned and roasted. The accompanying spiced lentils are another Hart’s classic, devised by Aaron and fitting perfectly with the Hart’s philosophy of good food simply cooked to perfection. Developed by Michelin-starred executive chef Aaron Patterson, the first dessert course in enjoyably different. The ice cream has an earthy flavour with natural sweetness, enhanced by the use of local Red Poll milk from the Belvoir Ridge Creamery, which brings a creamy, nutty quality. 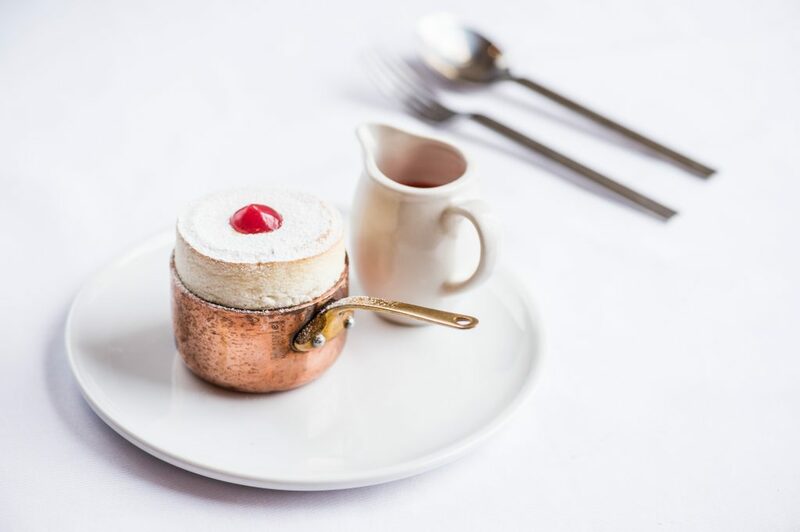 The classic soufflé comes up repeatedly as a favourite with Hart’s diners and is another dish where the Hart’s philosophy of simple cooking with quality ingredients shines through. Delivering a consistently good soufflé shows accomplishment and skill as a chef and here it is paired with the greatly overlooked quince, which is perfect for the season. The menu comprises six taster sized courses followed by coffee and petit fours. The tasting menu is available in the evenings only (excluding Saturday), for one week from 20 November 2017 at a cost of £65 per person. To pre-book please call 0115 988 1900. The menu is part of Hart’s 20th anniversary celebrations. To be kept up to date with plans, please follow @HartsNottingham on Twitter, @Hartsnotts on Instagram or sign up to the newsletter via the website www.hartsnottingham.co.uk. Please note: Tim Hart is available for telephone interviews in early November. He will be able to discuss the early days of Hart’s, how the restaurant has developed and how the industry as a whole has changed.